Ijen Miner Tour started out as a school project to support the local miners. The goal was to employ miners and their family to not only guide tourists around in the mine but also welcome them in their village and give them a taste of local life. Today we also recruited local people as a tour guide and host. We have limitation number of guests we could be hosted everyday, contact us before book online to check availability. What Make Us So Unique ? We use local house as accomodation, stay with local family, join their daily activity and make heart touching connection with them. Our staffs are locals in the village, some are former sulfur workers and unemployed teenagers in the village. They are ready to show you the local area. We were created local activities to show guests the real indonesian life, so that you could understand more about local daily life and get authentic experiences. It was not all about the business, we spare our profit to improve our local communities in the area, do social project, and charity. Guests could join on it. Short Kawah Ijen tour for the blue flame without accommodation and no local activities in our village, get picked up a late evening from Banyuwangi. Put your bags and valuable stuff in our locker room in the office, drive to Paltuding base to start the hike to Kawah Ijen for the stunning blue flame and unbelievable sunrise. Get a quick shower and breakfast then finally drop off you back at Banyuwangi area. Kawah Ijen By Night - A basic package for hiking the famous Kawah Ijen, our local guide will pick you up at the meeting point. Drive to his peaceful village while doing some local activities in the area, stay one night with the local family. Hike Kawah Ijen at midnight to see the majestic blue flame and stunning sunrise. A Complete package of 2 Days and 1 Night to visit Kawah Ijen for blue fire and an additional visit to Blawan Hotspring, the package will give you more understanding how the condition of local living in the volcano area. How society survives with acid and toxic environment. Contact us Here For More Information And Reservation ! A Complete visit of Kawah Ijen for 3 Days / 2 Nights, In the package we will show you the sulfur factory to understand more about how the sulfur rocks at Kawah Ijen will proceed. We also will take trekking to the rice paddies to get closer to the locals. Plantation tour at the end of the day, with Kawah Ijen Blue Fire tour as the last activity. 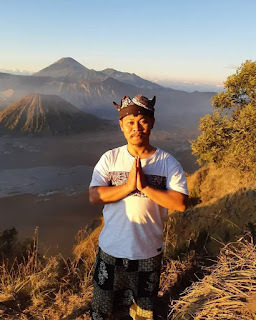 Overland Tour Malang-Bromo-Kawah Ijen | Overland tour to visit famous Mount Bromo and majestic Kawah Ijen, get picked up from the nearest city of Malang area at the day time. Stay two nights at the local guesthouse, do activities in the local village walk. Early morning jeep ride to Penanjakan to view sunrise then continue to hike bromo crater and continue to hike Kawah Ijen to see the stunning blue fire. 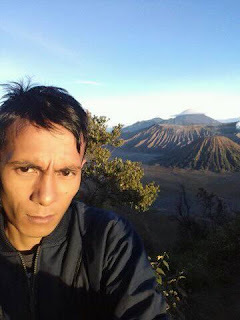 A regular packaged to do Mount Bromo and Kawah Ijen which started from the closest city from the area Probolinggo. Drive to Cemara Lawang to spend a night then taking a jeep ride to Penanjakan to see the sunrise. At the second day, we will drive to Banyuwangi to see the majestic of the blue flame in Kawah Ijen. Our local guide and driver will meet you up at Probolinggo area, pick up point could be taken from the train station, bus station, hotel, or other places has already discussed. Drive to Cemara Lawang, the nearest point to Mount Bromo, check in to the local guesthouse. Free activities in Cemara Lawang area, guest could enjoy Bromo landscape before sunset (if you arrived Cemara Lawang 4 pm). Woke up early in the morning to take a jeep ride to Penanjakan View Point for the sunrise of Mount Bromo. Enjoyed the stunning sunrise of Mount Bromo, we continue to go back to the jeep to go through the sea of sand and hike hundreds of steps to the top of Bromo crater. Get back to the guesthouse and check out to prepare 5 hours drive to Banyuwangi. Breakfast will be taken at Kencur restaurant just below the Bromo. Arrive at Banyuwangi, you will be welcomed by our local family as your host. You will stay together with them for one night. Talked and learned about their story, before midnight hike to Kawah Ijen, your local guide will take you to walk around the village to do some local activities such rice paddies walked, visit coffee/rubber plantation, and waterfall. Again.. woke up midnight, jeep ride to Paltuding for 1 hour to start hiking Kawah Ijen. The walk was steep enough, so that good physical condition really needed to hike Kawah Ijen. One hour walk to the top and 30 minutes walk down to the crater bottom, to see the blue fire. When the sun raised up, the blue fire will be invisible, the scenery changed into greeny crater lake. Then we could see how the sulfur mining processed, roughly around 8 am we will be back at the village to have tasty local breakfast. Drive you back to Banyuwangi as the last service from Ijen Miner Tour. On the video above, was created by our former guest lacocaresco who did a tour with us for Mount Bromo and Kawah Ijen. One day tour to explore Menjangan & Tabuhan Island from Banyuwangi, started from 8 am with a pick up from your hotel to directly take a traditional boat to cross the Bali sea. Do snorkeling activities in Menjangan spot and Tabuhan Island. The activities will end up roughly at 4 pm then our staff will drop you off back to your hotel. 11:00 Visitor registration, followed by a free agenda and photo session on the island's Menjangan. 15:00 Visiting Tabuhan Island, you can snorkel in a shallow area or go around the island while taking pictures. We spent 3 days with Sam (our guide) and our driver. There were waiting for us at Surabaya Station to drive us to the bromo, and to the kawah ijen the next day. We don't forget this trip in spite of the cloudy sunrise :-) Sam was very nice. He could explain us the real life of a minner because this is his main job. We don't forget him. We love the nigt in the small village in banyuwangi. Thank you for all guys ! Thanks a lot for beautiful moment with you and your family!It was very good!Kawah Ijen was wonderfullll..!!!! I will send you photo on ganda internet adress!We are waiting now, news of the baby! I think he will be there soon!Thank you very much for everything!Your wife cook very good!We hope to see you again some day.Thank you very much!